Keeping your options open will cost you more than you may realize. Whether it’s personal relationships or business decisions, more choices can actually work against you. This seems paradoxical, but it’s true. When we give ourselves more choices, we’re actually lessening the possibility that we’ll decide on which one would lead to a desired outcome, and we’re increasing the chances that we’ll regret a choice we finally make. The quality of any given option cannot be assessed in isolation from its alternatives. One of the “costs” of making a selection is losing the opportunities that a different option would have afforded. Thus, an opportunity cost of vacationing on the beach in Cape Cod might be missing the fabulous restaurants in the Napa Valley. 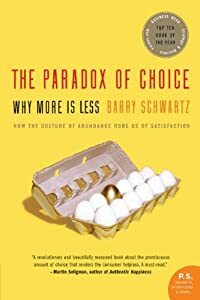 If we assume that opportunity costs reduce the overall desirability of the most preferred choice, then the more alternatives there are, the deeper our sense of loss will be and the less satisfaction we will derive from our ultimate decision. Investor Glen Larson agrees. 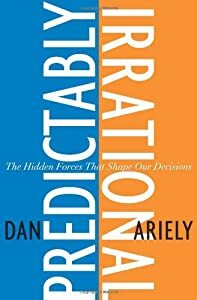 In “Keeping Too Many Options Open May Actually Be Hurting You,” Larson mentions a book by Dan Ariely entitled Predictably Irrational: The Hidden Forces that Shape Our Decisions.” Ariely reports on a study done at MIT where students demonstrated how much they were willing to pay to avoid what they perceived as a loss, even when there wasn’t a true cost associated with it. Stock and options traders, professional and amateur alike, keep relationships going in markets they should have abandoned long ago. Larson reports that traders employ such choice overload as a hedge, “just in case” the markets break open, losing money day after day, month after month. The cost of these lost opportunities can actually be measured, but the analogy to other decision-making situations shouldn’t be missed. Too many options makes it easy to ignore or postpone a decision that should be made. “I might need it someday” is a justification many of us make to avoid getting rid of clutter, for example. The result can be a house full of unused objects you spend a lifetime maintaining, storing, cleaning, while more and more indecision builds up. The incapacitation of choice overload is physically manifested in overcrowded houses and capitalized upon by the lucrative storage unit industry. This morning, I took the photo at right of an angel ornament Pete made when he was a child. A wind gust through an open window the other night sent it flying, and it’s broken beyond repair. He suggested we discard it – it had served its purpose over more than 45 years. Still, we went around for a bit deciding what to do. At one point, I even suggested tacking it up as a reminder about our trouble with deciding. We both laughed when we realized we were thinking of keeping something around to remind us not to keep stuff around! Keeping your options open to play the field is a classic strategy the commitment-phobe uses to put a decision about marriage on hold. In many cases, someone who is afraid to commit wants desperately to do so, but the opportunity costs are less to bear than the cost of potentially regretting the decision. The result is structuring life to provide more choices with which to back out should things get a little scary. Such choice overload will pretty much guarantee an unhappy outcome. What’s the effect on others? We justify keeping things around and stringing people along to maintain a higher number of options. But this is a kind of overbooking that hinders other folks, not just ourselves. It’s like reserving a seat on three different flights to the same city. You can only arrive at the destination by taking one, but then you’d have to actually decide. Who might have an actual use now for the item you might need someday? How many people have you inconvenienced because you couldn’t decide to accept or decline an invitation when it was offered? Many people will have to answer that question by saying, “I spent my time waiting, whining, worrying, and wishing. . .it’s always possible to find a reason to stay put, to skip an opportunity, or to decline an offer. And yet, in retrospect, it’s hard to remember why we said no and easy to wish that we had said yes. Keeping your options open can truly be a wise choice while we ponder viable alternatives. But there needs to be a time limit. We think the main reason people keep their options open is they fear the consequences of their decisions may not live up to the high expectations they have. Could you be interpreting real results as failures instead of learning experiences if they fall short of your expected outcome? Why are you really keeping your options open? Hi Betsy .. long ago a boss said to me make a decision on the best judgement you can do in the circumstances … I was dealing with Eastern Europe – but he wasn’t happy I’d left it!! Taught me a useful lesson through life … sometimes I don’t make a decision because I need to mull through my mind the best option, and quite often the decision is made for me. But if I’m asked for a decision – I give it … I can change my mind! That ruffles a few feathers … but if I’m the decision maker I tend to get on with life. Hi Hilary – A friend recently reminded me that not making a decision is a decision in itself. The key, I think, is to be aware and own that, as you say. 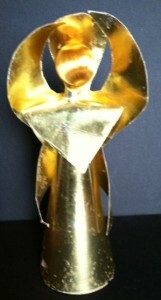 The poor little headless angel is still sitting on my desk. When I clean things up today, out she’ll go. I assigned an emotional aspect to the object, and this example illustrates the difficulty the majority of us have in letting things go when we do that. You’re right that when we bring ourselves to a decision, we can get on with life. Not doing so keeps us stuck. This is so obvious, but can be so very elusive. Thanks.